Backing up his data is something that every active computer user must perform regularly, in case he does not want to lose all his information (or even some part of it) when an unexpected failure occurs. In various applications designed to back up information, you can often find three methods for creating a copy: full, incremental, or differential. In this article, we are going to tell you what this methods are and how they differ from one another. There are many programs designed to create a backup in both: Windows operating system, and Mac OS. All of them perform approximately the same actions – they create a backup copy of the operating system, completely copy the hard drive, some of its partitions, folders or other data, depending on the settings chosen by the user. Later on these backups can be used to restore information. 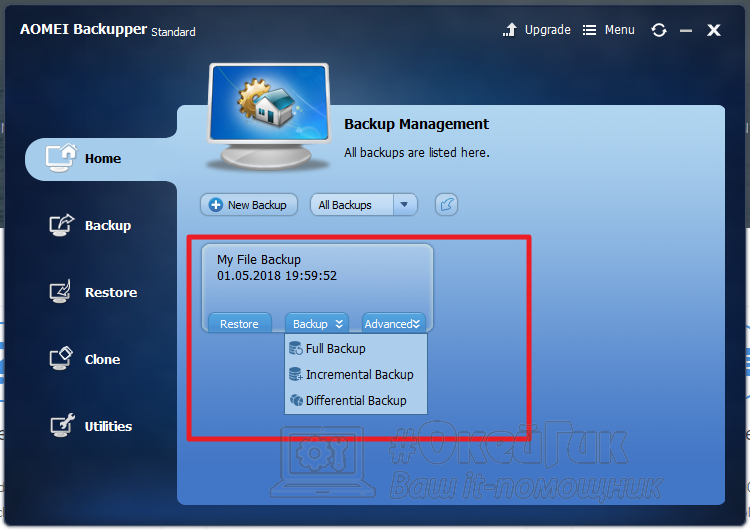 These actions are available in many applications, for example, in one of the most popular backup programs – AOMEI Backupper. In this article, we will show you examples based on it’s features, but you can find similar backup mechanisms in some other programs as well. 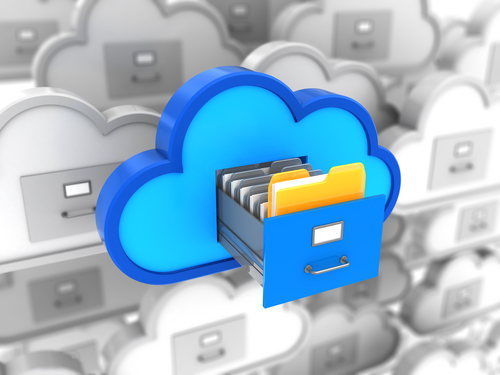 With this backup method, all system snapshots that are generated within the same backup task are able to work independently. Damage done to one of these snapshots does not affect the proper operation of others. It means that with a full backup the snapshot of the system contains all reserved information. 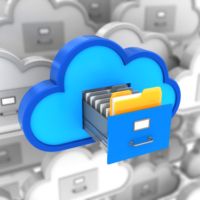 Full backup method is the most reliable, but also the most wasteful in terms of resources. For example creating a backup copy of the Windows operating system and several small applications, there will be required tens of gigabytes. Accordingly, constantly saving these full-fledged backups and storing them on a hard drive would be irrational and wasteful in terms of the HDD free space. This is why two other methods are used a bit more often. Incremental data backup means that the user is generating a full-fledged copy of the system and all files only once, and all copies created in the future will be subsidiary to the main one and to the previous ones. So they will contain only information about the changes that have occurred – deleted, modified and created files. The third copy. Subsidary to the second one – contains information about the data changes made since the creation of the second copy. And so on. That is, each new incremental copy can not be used to restore data without previous copies, including the very first one. This method of backup data storage has a significant advantage in comparison with the full backup – a smaller copy size (each new incremental copy will contain only tens to hundreds of megabytes, depending on the number of changes that occurred). Disadvantage is in the fact that upon restoration each new copy will be appealing to the previous one. Which means that if one of these copies is corrupted, you will have to perform restoration to the last working copy in a continuous chain from the first one. In addition, restoring data from an incremental copy takes longer than if you were using other backup methods. Differential method is close to the incremental one in meaning, but there is a significant difference between them. In the differential backup, all new snapshots are subsidary to the first one. The third copy. Subsidary – contains information about data changes since the creation of the first copy. As you can see, the third copy in the differential backup method is not subsidary to the second one. Which means that if one of the differential snapshots has problems, you can recover to any other working differential copy. This is the main difference between differential backup and incremental backup. Each differential snapshot is larger in size than the incremental snapshot, since it stores information about all changes since the first full copy was created. And also each new differential snapshot will of course be larger than the previous one. Differential backup. The best option for users of home computers. With this method of coping, you need to care only about the safety of the first copy.